Final lantern post, I promise! I wasn’t going to make any more, but couldn’t resist these two YouTube tutorials. Plus we were in the middle of a 40C heatwave in Sydney last week, and it was really too hot to cook or go out! The second tutorial is in Cantonese (I think), which I don’t understand, but the instructions were easy to follow nonetheless. I’m posting them here, so that I can find them again next year! 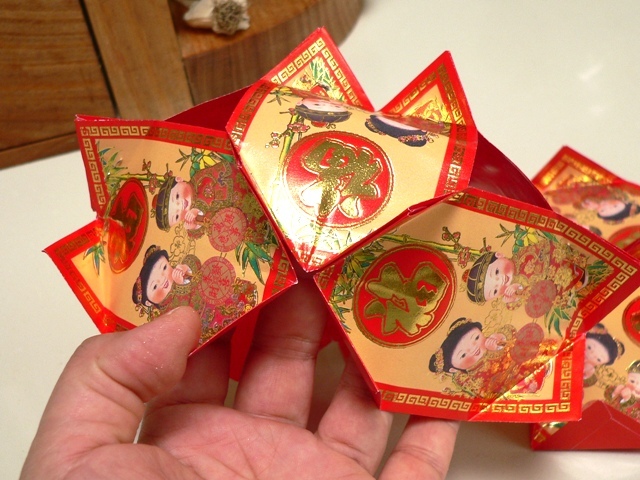 Every year, we celebrate by making these simple decorative lanterns. 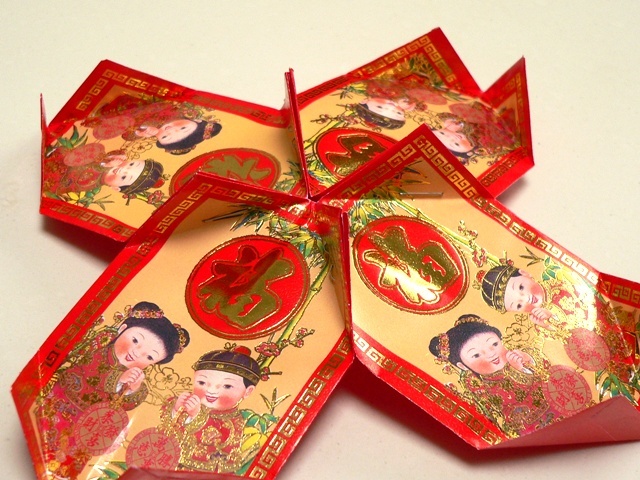 They’re made with “ang pow” wrappers – small red packets that are traditionally filled with money and presented to children for good luck. 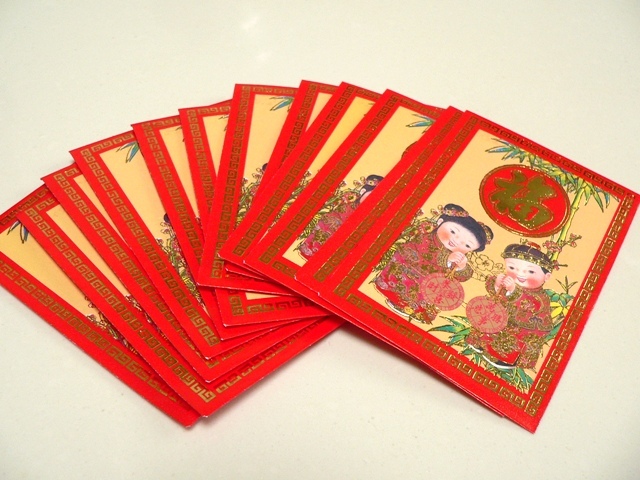 If you can’t find these, red envelopes should work just as well. They’re very easy to make, with just a few folds and staples, but quite hard to describe, so I’ve taken lots of photos which are hopefully self-explanatory. 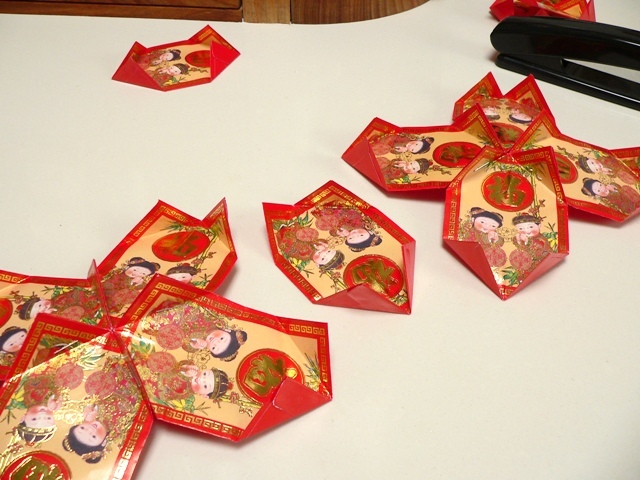 Seal each wrapper closed, then fold the corners in as shown below. It’s easier if you mark the top and bottom centre points first. 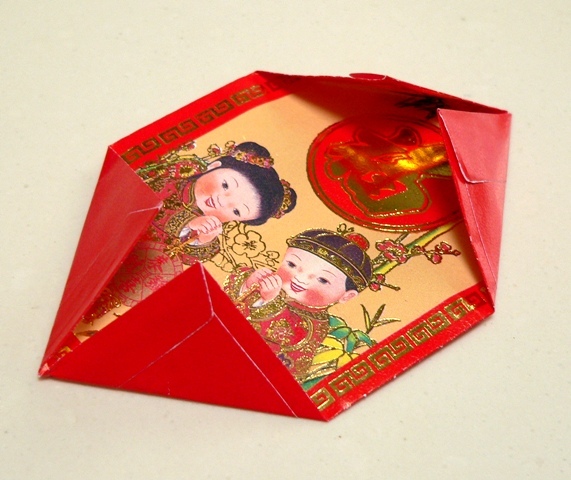 Now place four wrappers in a circle, and staple the folded corners together to join them up. 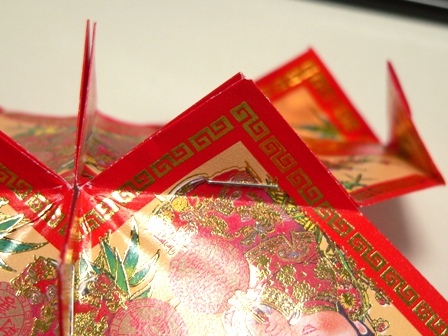 Make sure the design on each red packet is the right way up. This will form the top of the lantern. 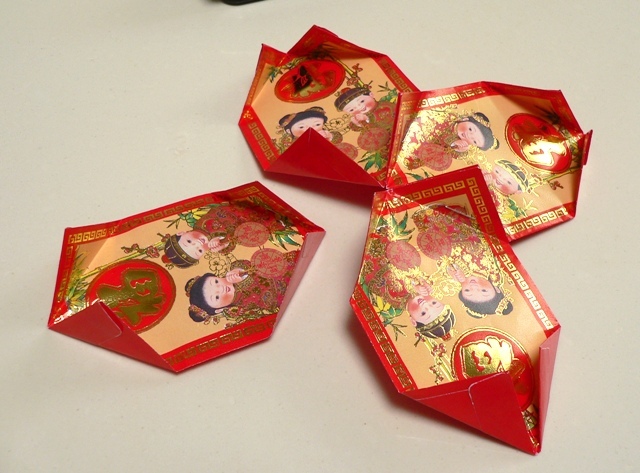 Now take four more wrappers and repeat for the bottom of the lantern – again making sure the design is properly aligned for the base (see photo). Now, here’s the only fiddly part. Actually, it’s not that fiddly at all, just a little tricky to explain. Join the top and bottom pieces together with the remaining four wrappers, stapling them in sideways. This gives the lantern its round, ball-like shape. 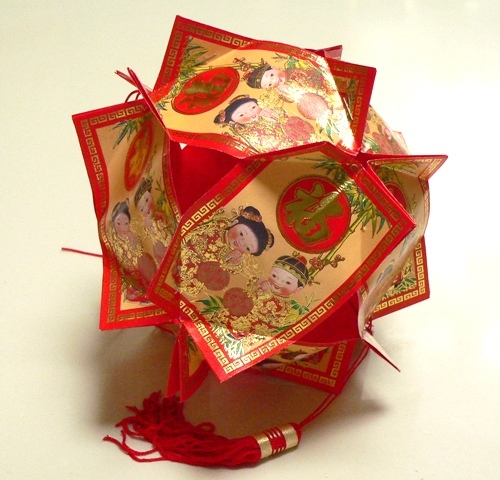 Join one section first, then attach the other part to complete the lantern. With a needle and thread, tie a hanging loop to the top of the ball and (optionally) a tassel or ribbon streamers to the bottom. 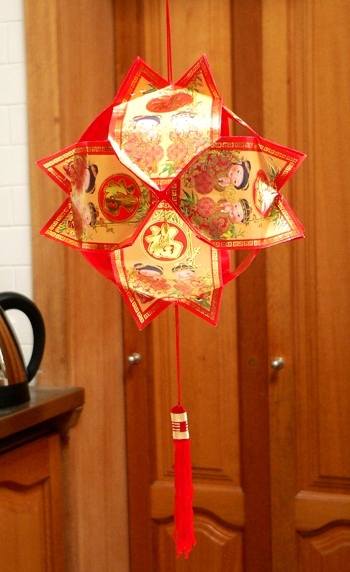 Now all you have to do is find somewhere to hang your lantern for the traditional fifteen days of Chinese New Year celebrations! Wishing you all a happy, healthy and prosperous Year of the Tiger!